Nieves Bautista Bernardo, Inang Ibes, as she is commonly known, passed away peacefully in her home while visiting her hometown of Sto. Nino in Paranaque City, Philippines, on Tuesday, February 5, 2002, surrounded by her children and grandchildren and lots of love, care and support. She was predeceased by her husband, Arsenio Sr. of 63 years, her parents Macario Bautista and Teodora de Leon Bautista. 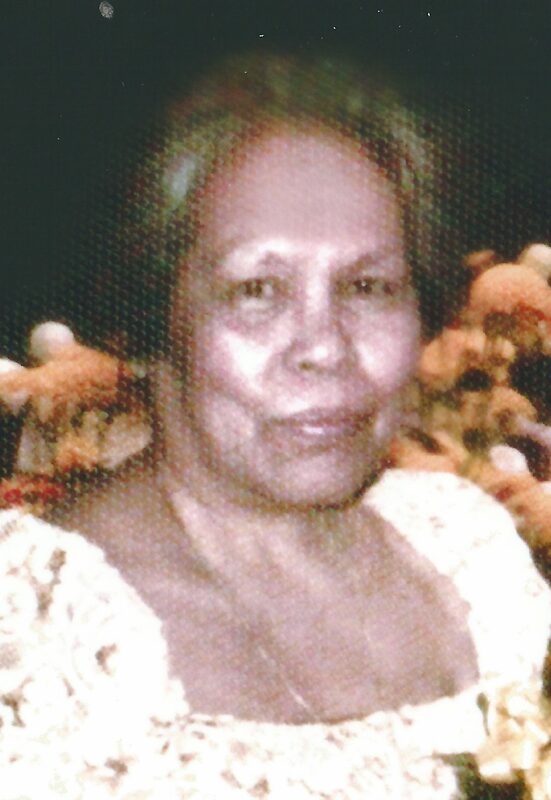 She will be fondly remembered and greatly missed by her children, Fidelito (Sonia), Danilo (Cely), Amado (Lucy), Efren (Violy), Emilita (Anil), Arsenio, Jr. (Nenita), Editha (Hector), Ronaldo, his 10 grandchildren and 11 greatgrandchildren. She was a loving, caring, devoted and hardworking Inang and a Lola in her simple and humble ways. Inang was born on August 5, 1920 in Sto. Nino (formerly known as Ibayo) Paranaque City, Philippines. In her younger years, she worked many long hours selling fish in the nearby village to support her family, and with her children helping along, she also tended to her little street food stand, dishing out delicious and very well liked Filipino delicacies, like fresh lumpia, pancit, rice cakes (puto), and congee (lugaw). Her culinary skills helped and provided necessities for her growing family. Her most important goal was to provide a good education for all her children and her constant reminder to her children was “a good education can never be stolen from you”. She was a matriarch, a strong woman and a good disciplinarian who never complained at her situation in life for she was guided by her unwavering faith to our Lord Jesus Christ. With the help of their son, Danilo, and his wife, Cely who both first came to Canada in the 1960’s, Amang, Inang with Ron and Edith immigrated to Canada in 1978, to join their other children living in Winnipeg, Manitoba. In 1991, Amang and Inang, together with Edith’s family, moved to Surrey, BC where she spent living and enjoying the remaining years of her life with her children Emily, Ron, and grandchildren. Inang never imagined that she would be able to travel outside of her hometown village. With Ronaldo, and Edith’s family, Inang and Amang travelled to Baguio City, Boracay, Cebu, Bohol, in the Philippines, Florida, California, Virginia in the United States, visited their son, Efren and his wife Violy, living in Copenhagen, Denmark, and travelled with them to Rome. Inang with Ronaldo and Edith made a second visit to Copenhagen and they all travelled to France, visited Paris, and took the train for her very memorable pilgrimage to the Sanctuary of Our Lady of Lourdes. Her body will lay in rest at the Sto. Nino Center Chapel, February 6, 2002, where Lamay will be held. Funeral mass will be celebrated on Friday, February 10, 2002, at 2:00 pm. Interment to follow at Paranaque Catholic Cemetery.